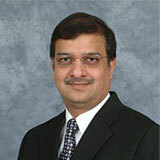 Co-founder, Co-owner & Director – Concorde Academics, India. 15+ years experience in classroom and online teaching for CPA candidates in US / Canada / India. 30+ years experience in Public Accounting.